WELCOME to Glacier's Reach. This spacious 3 bedroom / 2 bathroom town home is spread out over 2 levels and features a PRIVATE HOT TUB on the patio as well as a common hot tub & outdoor pool (open year round). Glaciers Reach is located steps from the Whistler Marketplace with restaurants, stores and entertainment on your doorstep. In the summer, it is a very popular area for biking, hiking, golf & has a swimming beach nearby at Lost Lake Park. Lost Lake trails are close by offering hiking and XC biking trails. You are right across the street from Marketplace with all the shops you need, and Whistler Olympic Plaza which has a great children's playground, large park community space and stage where you can catch an array of free performances. Glaciers Reach is the perfect location all year round! In the Winter, you are an easy 13 minute walk through the village to the ski lifts or jump on the free shuttle bus located just outside the complex that will drop you at the base of Whistler mountain. Right across the street in the Olympic Plaza there is free skating and a small tubing area for the kids. You are a short walk away from tons of XC skiing and snowshoeing trails. This beautiful Glaciers Reach property is spread out over 2 levels. Upon entering you have a small mud room to the left to store all your equipment. This leads out to an open plan living room with a sofa bed for extra guests and a gas fireplace to cozy up to in the chilly winter months. There is a fully equipped kitchen perfect for an energizing breakfast to get you going or for a satisfying home cooked meal at the end of your day and a small dining area to the side. The patio off the living room is decked out with it's own private hot tub to help get you relaxed and unwind after a long day up the mountain. There is also a full bathroom on this level for your convenience. The 3 bedrooms are located on the second floor. The master has a hug comfy king bed while the second bedroom has a full sized queen. There is a small third bedroom which has been added in with a singular twin bed. The property includes a washer / dryer to ensure minimal packing and clean sports wear throughout your stay. Both the main and the second bedroom have small AC unit for those unusually warm summer months. You will have access to one secure underground parking stall throughout your stay. Free WiFi, cable and local calls are all included. Had a great stay at Glaciers Reach #98. Clean well-maintained condo with a great layout. The kitchen was well stocked with supplies. Nice space for all the skis and stuff. Easy walk to bus to get to the gond​ol​​a. ​ Harmony was great to deal with, left a wonderful bottle of wine and a book that was enjoyed the first night. Would highly recommend​. Hope to stay again next year. Thank you for your wonderful review Bill! It is great to hear that you enjoyed the layout and well stocked kitchen. Glaciers Reach certainly is a convenient location situated beside the main village. The short walk to the bus stop and the complementary Marketplace Shuttle that runs in the winter makes the lifts incredibly accessible. It is great to hear that you enjoyed the book and wine too! We look forward to hosting you again soon! Clean, with plenty of space. Walk into town for dining and shopping. Marketplace across the street has a grocery store and Starbucks which both are really convenient. Bus stop to take to lifts, or North Village dining right outside the complex. Do not need a car rental if you stay here. Will come back again. Thanks for the wonderful review Robert. We do love the convenient location of Glaciers Reach and that free shuttle that takes you from one end of the village to the other. Look forward to your next visit. 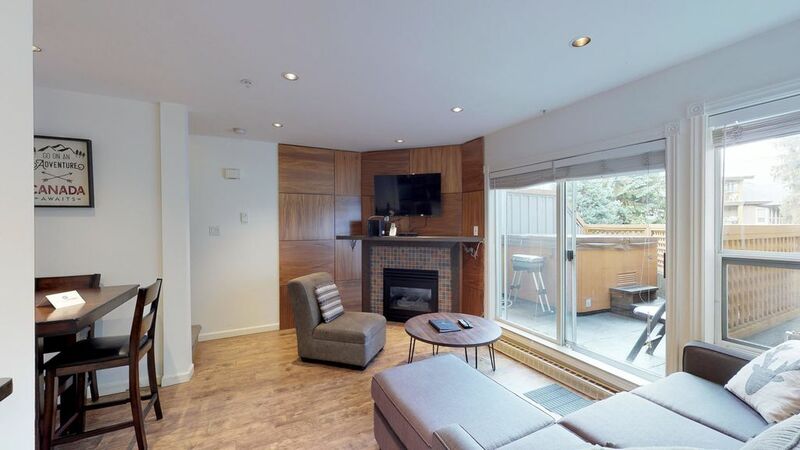 Perfect Whistler condo, super convenient to market and bus stop out front made it easy to get to skiing. Condo was clean and kept up well. Thank you so much for your review Bob and for staying with Harmony Whistler Vacations at Glaciers Reach. We are so happy to hear that you enjoyed your stay with us, come back and visit again some day. The condo was cozy and enough space for 4 people and good location but would not stay again. We did encounter a few issues that would prevent us from staying again. There was a hot tub at property above the bedroom that made noise during the night, the bath tub had an odour that looked to be possible mildew or mould. Preheated oven and when opened smoke came out and set off smoke alarms. Hot tub is at front of unit with limited privacy. Thank you for your feedback Amber. There is no hot tub above the property however at Glaciers Reach most properties have hot tubs so we would be happy to know which one it is in case it needs a service and we can try and locate their property management company. We would have happily come over to investigate the bathtub / snake the drain as needed if you would have made us aware of this. Thank you for reporting the oven. Again this is not something we have ever been made aware of and will need to attend to. We hope that asides this you were able to enjoy your holiday in Whistler. 2 1/2 bedrooms and a bath upstairs, and a bath downstairs, it’s not very big but it’s nice. Across from grocery and other shops and restaurants. Covered parking. That you so much for choosing to stay with Harmony Whistler and leaving us a great review. It makes us happy that you enjoyed your stay at Glaciers Reach. We fell in love with Whistler and this was the prefect base to do so. It was our first time visiting Whistler with our three children and we were more than happy with our choice of accommodation. The master room was spacious and the bed was very comfortable to get some rest after exploring Whistler and making the most of all the fun activities you can try. The girls shared the queen room and our son had his own room which was small but sufficient. Our own private hot tub was amazing, especially to warm up after the couple of rainy days that we had. The kitchen had all we needed for some quick and easy home cooked meals. The place was immaculate when we arrived and they even let us check in an hour early. The location was perfect !! Right across from the Marketplace and you can wander right along the village stroll to the base of the mountain from there in about ten minutes. Harmony had great recommendations on activities and dining options and were happy to reserve these for us. We can't wait to come back ! !